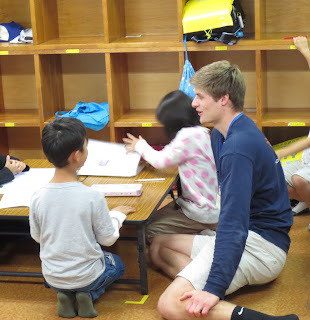 This semester, AKP students are volunteering at an after school childcare center in Nishijin. AKPers made a great effort playing the role of big brothers and sisters! These volunteer activities will continue throughout the semester. Monchalee Stieger (2002-03 AKPer, Mt. Holyoke College) came to visit with her father and boyfriend. 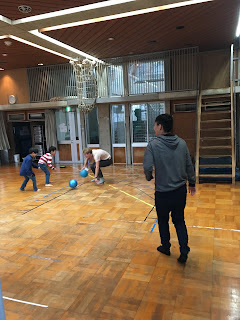 We invited some Doshisha students to to the Topic Discussion class. 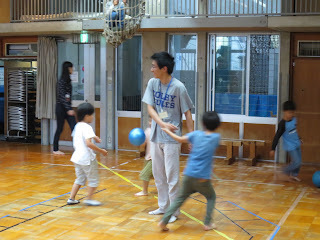 It was everyone’s first time, so they were a little nervous! The next discussion is October 13th. 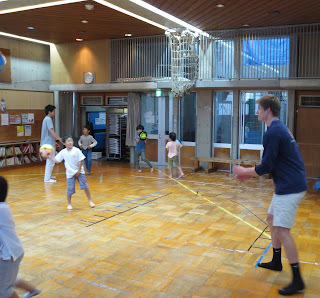 Doshisha volunteers, thank you for coming!